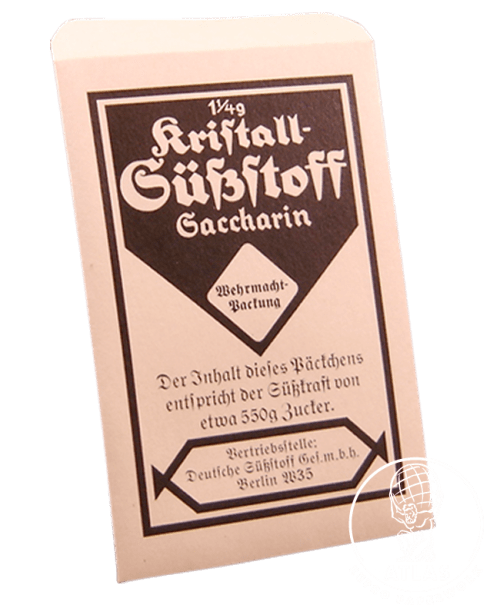 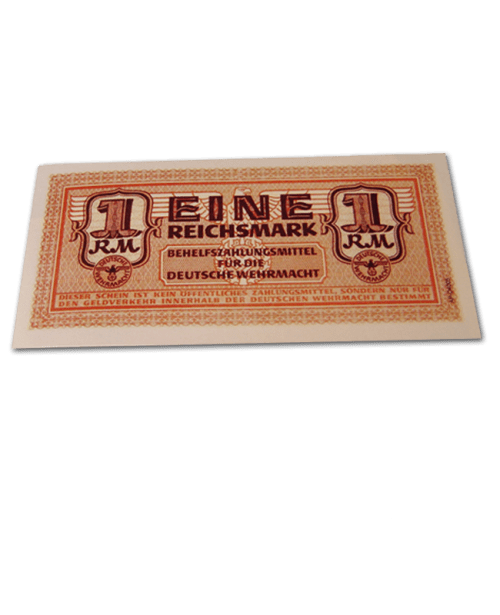 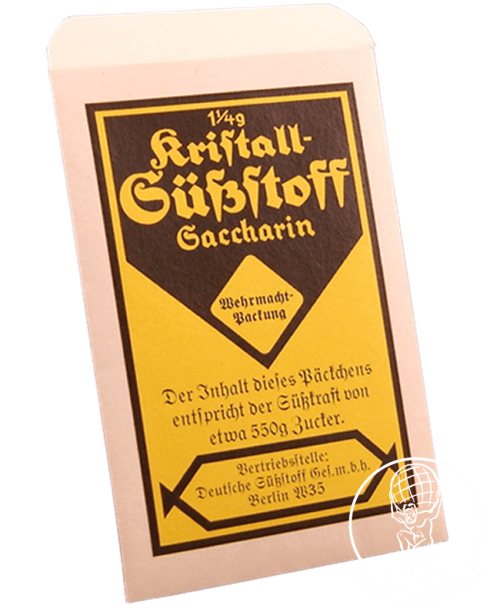 Reproduction of a pre-war and wartime German Nestlé’s Nescafé Instant Coffee label. 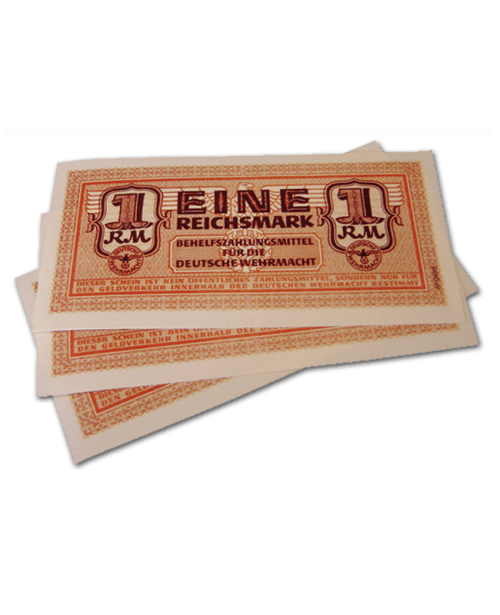 Reproduction of a pre-war and wartime German Nestlé’s Nescafé Instant Coffee label. 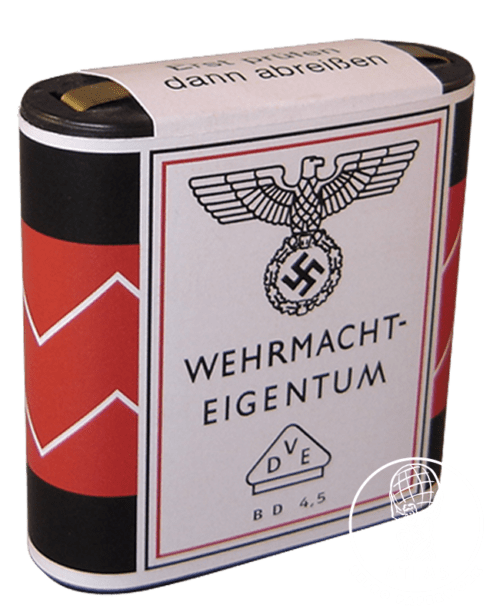 This label fits exactly on a modern 1/4 Liter empty paint tin. 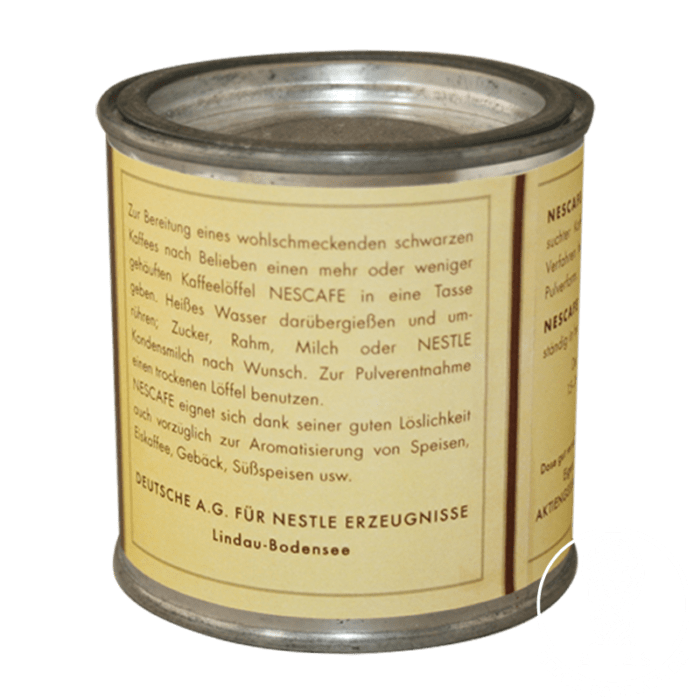 Put your instant coffee in the tin and you can use it on events. 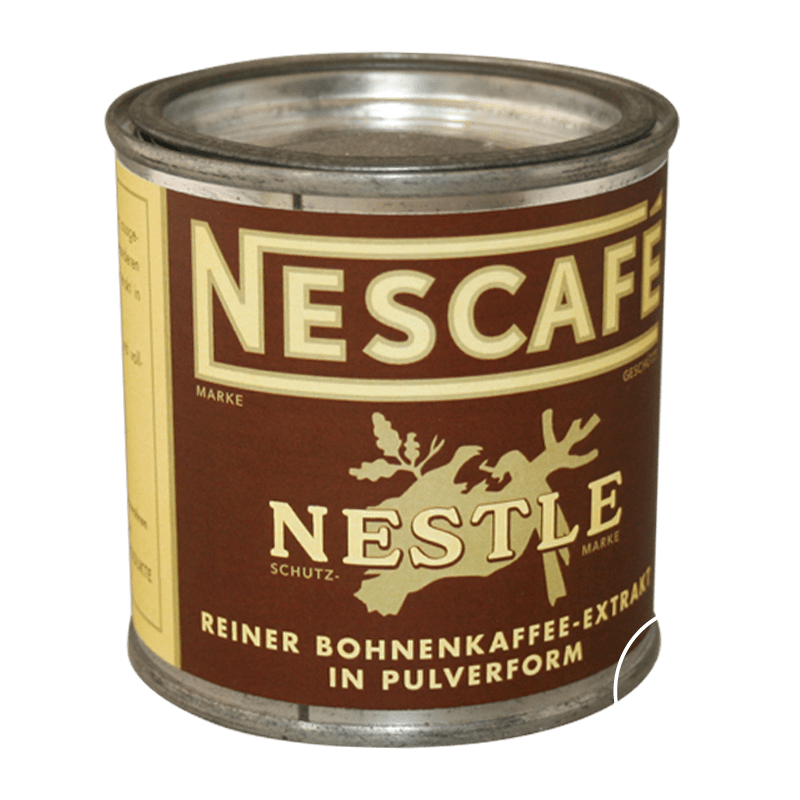 Do you want to know “How to assemble a tin of Nescafé“, just have a look on the how to page. 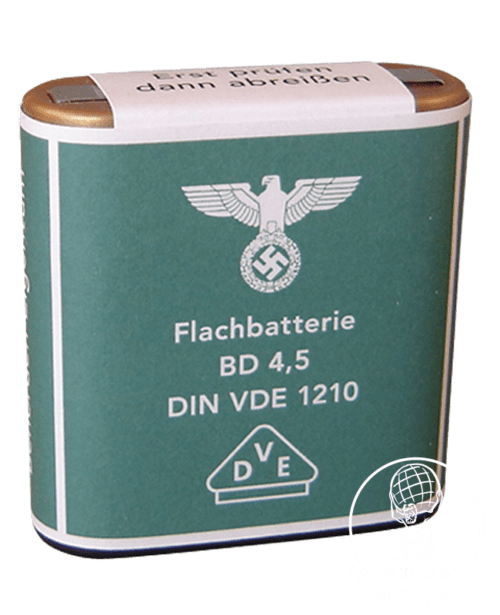 Now you can order a empty tin with label too.